▷ Alpine INE-S900R SP2 update. Speedcam for your maps. Download update. Free custom download. 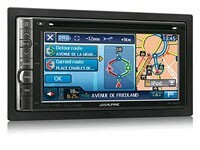 In order to update your GPS device: Alpine INE-S900R SP2 with the latest update, follow next instructions. First of all, be sure you got the update file for your Alpine INE-S900R SP2 device, downloaded from SpeedcamUpdates.com. Copy the extracted files into the root folder of an USB stick. Power the unit on. Press the hard key Menu on the left side of the unit, then press Setup. Select Navi on the left side and press Personal POI. Press the Update button to import the speed camera database into your system. Confirm with YES.